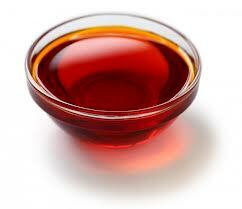 Naturally red in color, palm oil is derived from the pulp of the fruit of the palm tree. The palm oil is an inexpensive oil that is commonly used in Southeast Asian and African cooking and is high in saturated fats. Because of its high level of stability and low production cost, demand in the United States has nearly tripled in the last 5 years. In response to its increasing production, many environmental activists have called for the stop of its production, claiming that it is highly polluting the immediate environment of its production site and endangers indigenous cultures. Red palm oil comes from the African oil palm, which is believed to yield the highest amount of oil compared to other trees. It contains a very high level of a substance called beta-carotene, which gives it its dark orange to reddish hue, and is believed to be able to lower the risk of cancer and heart disease. In traditional cooking, palm oil is used in heavy soups and stews, cooking meat and also sautéing vegetables. Typical recipes include groundnut stew, stuffed crabs and beef & spinach stew. 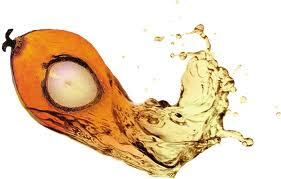 Aside from its widespread use in food and as a cooking oil, palm oil is currently being refined for use as a biofuel. Early studies have concluded that it is a clean burning, efficient fuel that is ideal for use in diesel engines. Engines running on biodiesel made of palm oil run smoothly and spits out less polluting emissions than those running on petroleum based fuels. Furthermore, palm oil is biodegradable, and disappears within three weeks. One of the determining factors of whether or not palm oil will succeed as a biofuel is cost efficiency. When compared to other oils used in biofuels, palm oil is seems a viable choice due to its high level of cultivation and low cost. However, there is still strong opposition from environmentalists for its use as biofuel. The net effect of replacing fossil fuels with palm oil is questionable as the pollution caused by the cultivation and extraction process of the palm oil is comparable to the pollution caused by fossil fuels. The nutritional profile of palm oil is very unique, mainly because of its incredibly high concentration of beta-carotene. The palm oil contains the highest amount of beta-carotene compared to other naturally occurring substances. The beta-carotenes in palm oil are an excellent source of Vitamin A. Vitamin A is a vitamin that is commonly associated with retinal health, assisting in the absorption of light by the eyes and preventing skin diseases. In conjunction with Vitamin A, palm oil is also very high in Vitamin E, another vitamin that has proven healing and regenerative properties. Although the proven health benefits of the palm oil are abundant, some people advise against it due to its high level of saturated fats. The saturated fats can raise bad cholesterol levels. This consequently causes arteries to clog up, which in turn increases the risk of having a heart attacks or stroke. Therefore, it is more suitable for consumption for young, active people as it gets burned out quickly. Older people who are more prone to heart diseases should consume more cardio-friendly oils such as the olive oil. Even though it has traditionally been used in Africa, Southeast Asia and parts of Brazil, the emerging popularity of palm oil has raised some red flags among environmental groups. In addition to being used as cooking oil, palm oil has found its way into cosmetics, food products, lotions and many other consumer goods. As with many other crops, its commoditization has led to massive growing and harvesting operations that many believe have harmful, irreversible effects on the environment and ecosystem. This entry was posted in Vegetable oil. Bookmark the permalink.